Washington benefited from a down year in the Pac-12 to plow through the league en route to a conference regular-season championship. Things won’t be so easy for the Huskies next season. It’s way too early, but here’s a look at how the 2019-20 Pac-12 men’s basketball race is starting out. Jon Wilner's way-too-early top 25: Virginia's the team to beat, but what about Washington and Gonzaga? 2018-19 record and finish: 4-14, 11-21 (11th). Departing starters: F Robert Franks and G Viont’e Daniels. On the fence: Freshman C.J. Elleby is going through the NBA draft process, but doesn’t plan to hire an agent. Fifth-year senior F Jeff Pollard was in the NCAA transfer portal, but plans to remain at WSU. Meanwhile, G/F Carter Skaggs, PG Ahmed Ali and F Isaiah Wade are going to transfer. Key players: F Marvin Cannon, G Jervae Robinson and F Aljaz Kunc. The skinny: The last time the Cougars were relevant, former coach Tony Bennett led them to the Sweet 16 in 2008. Soon after, Bennett left for Virginia and WSU has floundered about aimlessly for the past decade. The Cougars hope they’ve found the next Bennett in Kyle Smith, the former San Francisco coach hired last month to replace Ernie Kent. There are so many moving pieces in Pullman right now. Skaggs, Ali and Wade are out. Pollard was out, but now he’s back. And Nigel John, a 6-9 center from Texas who signed with WSU, has reopened his recruitment. Smith needs to make retaining Elleby a priority considering he’s the top returning scorer (14.7 ppg.) and rebounder (7.1 rpg.). Smith also has to fill out his coaching staff and would be wise to hold on to assistant Ed Haskins, the former Garfield High coach, to maintain a little continuity with current players and preserve a pipeline to Seattle-area recruits. 2018-19 record and finish: 8-23, 3-15, (12th). On the fence: F Justice Sueing, C Connor Vanover, G Juhwan Harris-Dyson and F Roman Davis have entered the NCAA transfer portal. G Darius McNeill said he plans to transfer, but reportedly might stay at Cal. Key players: PG Paris Austin, G Matt Bradley, C Andre Kelly, F Grant Anticevich and F Jacobi Gordon. The skinny: New coach Mark Fox can’t do any worse than his predecessor Wyking Jones who steered Cal into the abyss the past two years while compiling the most defeats (including 24 losses in 2017-18) in school history. Climbing back to respectability won’t be easy without Sueing who led the Golden Bears with 14.9 points and 6.0 rebounds last season. Losing Vanover is a big blow considering the 7-foot-3 center began to show promise late in the season. Due to defections, the roster is a mess and the Cal’s high academics standards makes it difficult to recruit junior-college players who might provide immediate help. But Fox hit a home run when he reportedly hired Trent Johnson, the former head coach at Nevada, Stanford and LSU. Johnson, who was an assistant at Washington and Utah, is no stranger to the Pac-12. During his four-tenure as head coach at Stanford and led the Cardinal to three NCAA tournaments. 2018-19 record and finish: 15-16, 8-10 (t-8th). Key players: G Daejon Davis, F Oscar da Silva, F Marcus Sheffield, G Cormac Ryan and G Bryce Wills. ESPN top-100 recruits: PG Tyrell Terry (No. 99). The skinny: Terry is one of the top point guards in the 2019 recruiting class and will likely take over the playmaking duties next season for a team that led the Pac-12 with 15.0 turnovers per game. His arrival moves Davis, who averaged 4.6 assists and 3.6 turnovers the past two seasons, to his more natural spot at shooting guard with Ryan, Wills and Sheffield. Da Silva, who averaged 9.5 points and 6.0 rebounds, appears ready to slide into Okpala’s role as the team’s star. And Sharma’s spot will be filled by freshman Lukas Kisunas or Keenan Fitzmaurice, a 7-foot freshman who redshirted last season. 2018-19 record and finish: 18-13, 10-8 (t-4th). Departing starters (1): F Stephen Thompson Jr.
On the fence: F Tres Tinkle is going through the NBA pre-draft process. The skinny: Despite missing the postseason, this was a historic season for Oregon State, which had its first conference winning record in 29 years. The Beavers also had a winning Pac-12 road record and a first-round bye in the conference tournament. But it feels like the end of an era in Corvallis, Ore. with the departure of Thompson, a three-year starter who ranks fourth on the school’s all-time scoring list. Tinkle will likely return for a fifth season – he sat out 2017-18 due to injury and is on pace to break the OSU all-time scoring record held by Gary Payton. JUCO transfer Kelley, a 7-foot center who averaged 3.4 blocks, 7.7 points and 5.0 rebounds, had a promising first season with the Beavers. But OSU’s future appears dim because of its inability to attract and develop high-school recruits other than Tinkle and the Thompson brothers. Also, the Beavers have been unable to find a capable point guard since Gary Payton II left in 2016. 2018-19 record and finish: 17-14, 11-7 (3rd). Departing starters (2): PG Sedrick Barefield and G Parker Van Dyke. On the fence: C Jayce Johnson, a junior who started 25 games and averaged 7.1 points and 7.7 rebounds, has entered the NCAA transfer portal. Key players: F Timmy Allen, F Donnie Tillman, F Both Gach and F Riley Battin. The skinny: Larry Krystkowiak, who earned $3.4 million last season, was the eighth-highest paid coach in the NCAA, according to USA Today. And yet, Utah has missed the NCAA tournament the past three years. No one in Salt Lake City seems bothered considering the Utes averaged 22 wins in the past six years and they haven’t had a losing season since 2012-13. Losing Johnson via transfer is surprising blow considering Krystkowiak has a reputation for developing post players. However, the bigger concern is replacing Barefield and finding a floor general. Presumably, incoming freshman Rylan Jones will likely take over at point guard while Gach and Naseem Gaskin, who redshirted last season, can help out with the ball-handling duties. Utah isn’t expected to have a senior on the roster next season, which leaves leadership duties to Allen and Tillman, who averaged 12.2 and 10.5 points, respectively. 2018-19 record and finish: 17-16, 9-9 (7th). Departing starters (2): G Kris Wilks and G Jaylen Hands, a pair of sophomores and the team’s leading scorers, announced they’re entering the NBA draft with no plans on returning to school. On the fence: Freshman C Moses Brown is a projected late first-rounder while sophomore F Chris Smith and freshman F Cody Riley are believed to be contemplating their futures. Key players: G Prince Ali, G Jules Bernard and F/C Jalen Hill. ESPN top-100 recruits: F Jaime Jaquez Jr. (No. 76). The skinny: The fourth time is the charm. After striking out on Kentucky’s John Calipari, TCU’s Jamie Dixon and Tennessee’s Rick Barnes, UCLA hired Mick Cronin away from Cincinnati with a six-year, $24 million deal. Cronin is a respected defensive-minded coach who built a 365-170 record during a 16-year career that included a three-year stint (2003-06) at Murray State (69-24) and a 13-year tenure (2006-19) at Cincinnati (296-146). The Bearcats have made nine straight NCAA tournament appearances, but advanced to the Sweet 16 just once. Cronin inherits a program where success is measured by national titles and the last one was in 1995. It will be interesting to see if the current roster fits Cronin’s defensive style. Retaining Brown would obviously help. UCLA is also expected to bring back PG Tyger Campbell (knee) and Shareef O’Neal (heart surgery) who sat out last season. 2018-19 record and finish: 23-11, 12-6 (2nd), NCAA first round. Departing starters (1): F Zylan Cheatham. On the fence: G Luguentz Dort, a freshman who averaged a team-high 16.3 points, is entering the NBA draft. Key players: PG Remy Martin, F Romello White, G Rob Edwards and F Kimani Lawrence. The skinny: Bobby Hurley has emerged as a leading candidate to replace Chris Mullins, who stepped down at St. John’s. Hurley is 73-58 in four seasons with the Sun Devils and has revitalized a dormant ASU program that’s made consecutive trips to the NCAA tournament for the first time since 1980 and ’81. Hurley is building a rising power in Tempe, Ariz. and it seems a little premature to leave now. Dort, isn’t projected as a first-rounder, but the Pac-12 freshman of the year told ESPN’s Jonathan Givony that he’s “all in” on the draft. If Dort doesn’t return, then ASU may ask newcomer Alonzo Verge to fill the void. He averaged 20.8 points, 4.1 rebounds and 6.1 assists last season at Missouri’s Moberly Area CC. And four-star commit Jalen Graham, a 6-9 center, likely takes over for Cheatham in the middle. 2018-19 record and finish: 23-13, 10-8 (t-4th), NIT quarterfinals. On the fence: G Deleon Brown, a junior, entered the NCAA transfer portal. Key players: F Tyler Bey, PG McKinley Wright IV, G Shane Gatling, G/F D’Shawn Schwartz, F Lucas Siewert, F Evan Battey and G Daylen Kountz. The skinny: Colorado, which finished the season winning seven of its last nine games, is the only team in the Pac-12 that’s expected to return its starting lineup. 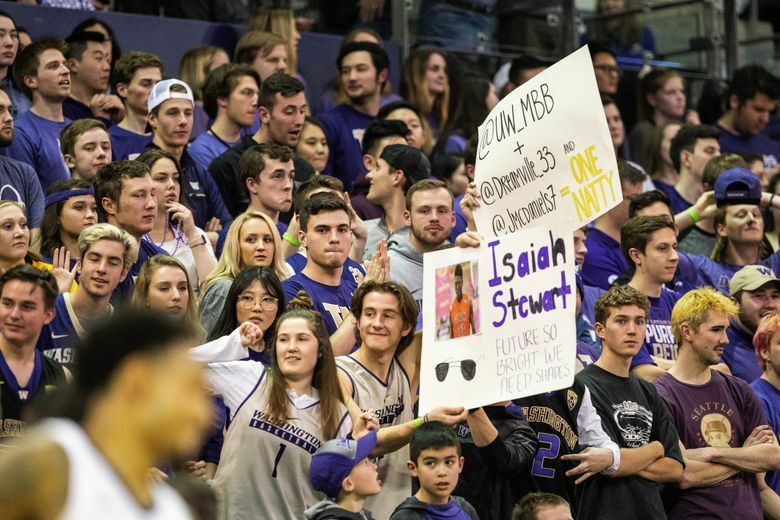 (Washington returned five starters on a team that went 10-8 in the Pac-12 in 2017-18 and look what happened to the Huskies.) Furthermore, the Buffaloes lose just one player from a team that played its best basketball in February and March. It will be curious to see if CU beefs up what was a weak nonconference schedule considering its veteran lineup. Bey and Wright are poised for big breakout seasons. A stingy CU defense that allowed the third fewest points in the Pac-12 (67.5) should be improved with the return of 7-foot sophomore center Dallas Walton who sat out last season due to a knee injury. 2018-19 record and finish: 16-17, 8-10 (t-8th). Departing starters (2): F Bennie Boatwright and G Shaqquan Aaron. Key players: F Nick Rakocevic, G Jonah Mathews and G Derryck Thornton. ESPN top-100 recruits: F Isaiah Mobley (No. 15), C Onyeka Okongwu (No. 17) and F Max Agbonkpolo (No. 64). The skinny: G Kevin Porter Jr., who is leaving early for the NBA draft and isn’t expected to return, might have been USC’s most talented player. But the Trojans are reloading with a top-four nationally ranked recruiting class that’s bolstered by the addition of G Quinton Adlesh, a Columbia graduate transfer who averaged 13.5 points last season. On paper, USC looks like a Final Four contender due to its trio of senior (Rakocevic, Matthews and Thornton) and an abundance of incoming freshman talent on the front line. However, a lack of chemistry has often plagued the Trojans. Last season was a step back for coach Andy Enfield who averaged 24 wins in the previous two seasons. After missing the NCAA tournament the past two years, he’ll need to return to the Big Dance to avoid the hot seat. 2018-19 record and finish: 17-15, 8-10 (t-8th). Departing starters (2): G Justin Coleman and F Ryan Luther. On the fence: G Brandon Randolph might explore his pro potential while C Chase Jeter and G Dylan Smith could transfer and play next season. They haven’t said if they’re coming back next season. Key players: G Brandon Williams and F Ira Lee. ESPN top-100 recruits: SG Josh Green (No. 7), PG Nico Mannion (No. 8), G Terry Armstrong (No. 41) and F Zeke Nnaji (No. 47). The skinny: Despite the off-court turmoil, you just knew Arizona wasn’t going to be down for very long. Last season was undoubtedly an aberration for the Pac-12’s flag bearer that had a streak of six straight NCAA tournament trips snapped. It remains to be seen if coach Sean Miller succumbs to the pay-for-play scandal that’s dogged him for more than a year, but Arizona is in position to return to the top of the Pac-12 if he returns and the roster remains in tact. The Wildcats have the top recruiting class in the nation. They’re the only team with a pair of top-10 recruits and four prospects among the top 50. 2018-19 record and finish: 25-13, 10-8 (t-4th), Sweet 16. Departing starters (2): C Bol Bol and F Paul White. On the fence: F Louis King has been noncommittal about plans for next season and F Kenny Wooten could test the draft waters. Key players: PG Payton Pritchard, G Victor Bailey Jr., G Will Richardson and F Francis Okoro. ESPN top-100 recruits: F CJ Walker (No. 24), C Isaac Johnson (No. 55) and F Chandler Lawson (No. 63). The skinny: The Pac-12 Tournament champions were the hottest team in the conference at the end of the season. Oregon had a 10-game winning streak before falling to eventual NCAA champion Virginia in the NCAA tournament regional semifinals. Let’s assume King, a freshman who averaged 13.0 points and 5.3 rebounds, and Wooten, a sophomore who averaged 6.3 and 4.8, stay for another year because they’re not projected as top 60 prospects in mock drafts. And if the Ducks land PG Cole Anthony and SG Cassius Stanley – a pair of top-30 prospects – then coach Dana Altman would arguably have his most talented team during his nine-year tenure with Oregon.